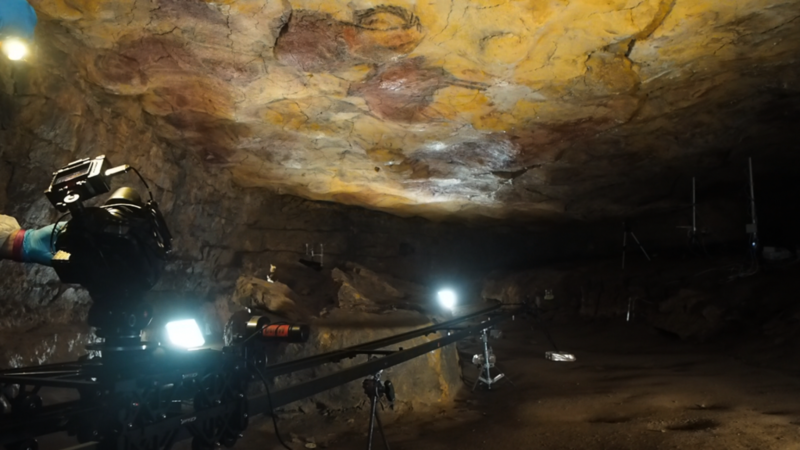 López-Li Films tea enter the Altamira cave for shooting a new documentary film. Altamira on the news again. 135 years after the discovery of the famous bison by Marcelino Sanz de Sautuola and his daughter María,- amid a heated debate (scientific and political) on whether or not to reopen the public access to the cave-, two cameras have entered it as part of an ambitious documentary film that aims to recreate the fabulous story of its discovery as well as to investigate the role of artistic creation since prehistoric times. The documentary project El Maestro de Altamira came up some years ago in a debate between the filmmaker José Luis López Linares, the producer producer Alvaro Longoria (Morena Films) and the painter, sculptor and architect Joaquín Vaquero Turcios. 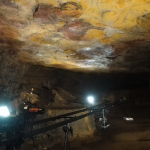 The documentary tells the exciting story of the discovery of the Altamira paintings by Maria Sanz de Sautuola and his father, Marcelino, describing, as well, all the controversy that arised around the deduction that the author belonged to the Paleolithic period. The story- told through the eyes of María- seeks to shed light on how humans living 15.000 years ago in the North of the Iberian peninsula could live and look like, on the one hand, and to explere the mystery of artistic creation, on the other.